After a bit of scrambling and shuffling, it appears that I will be attending Fan Expo this year, after all. This time around, I’ll be joining Katie Shanahan and Adriana Blake in sharing a table with the Anthology Project. Might be kind of cozy, but with the jump in table prices, I doubt we’ll be the only elbow-to-elbow artists in the place. 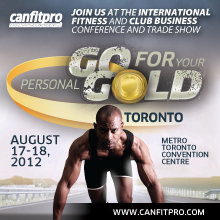 Currently, the rush is on to get ready for CanFit. The good folks there, have generously sponsored a week of Promises Promises comics! I’ve never done sponsored strips here before and I don’t want this to become one giant ad-space, but Canfit is the kind of show that Fiona, Trish and Shanta would go to so I thought it would work. I figure, if I can find humour in a small-town gym, a giant fitness trade show of 225 fitness exhibitors could be a comedy gold-mine. They also gave me some free passes, so if you were thinking of going, drop me an email, I’m happy to pass out the ones I have left. 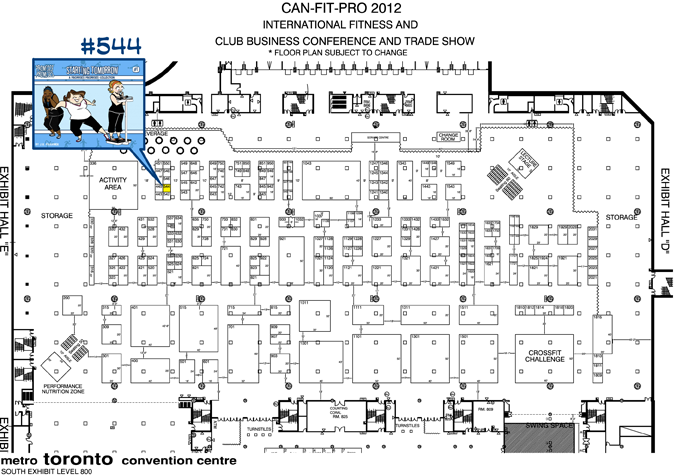 I will be at both CanFit and Fan Expo with copies of Starting Tomorrow and a pile of the yoga prints. If you’re going to either show and wanted commissions, original artwork or one of the custom yoga mats, please email before Saturday, August 11th, so I have time to get it ready.